The BeerHoptacular Infusion Lounge Returns for 2018! We are excited to announce the return of the BeerHoptacular Infusion Lounge, a pop-up experience within BeerHoptacular! The lounge will feature four of our partner breweries (Noon Whistle Brewing Co., Pollyanna Brewing Co., Tangled Roots Brewing Co. and Alter Brewing Co.) each pouring a dessert-themed recipe through a Randal. What’s a Randall? Glad you asked. Originally created by the craft beer innovators at Dogfish Head Brewery, a Randall is an organoleptic hop transducer module… which is a fancy way of saying it’s a device that infuses flavor into beer. The beer flows through the Randall on its way from the keg to the tap, pulling flavors out of the ingredients in its path. Randalls run beer through fresh hops, coffee, cinnamon, vanilla beans – anything really, making it a fantastic way to participate in one of our favorite parts of craft beer: the experimentation. It’s a way to take something great, and make it even better. Chicago’s original craft beer festival will have more beer, more attitude and more… other stuff than ever before. What other stuff? In addition to our 150+ craft beers, we’ll have some of Chicago’s favorite food trucks, the annual BeerHoptacular Homebrew Competition, a DJ spinning an all-vinyl playlist, a beer bicycle, a live photo booth and much more. BeerHoptacular takes place over on Saturday, September 22, 2018 at the awe-inspiring Vertiport Chicago. 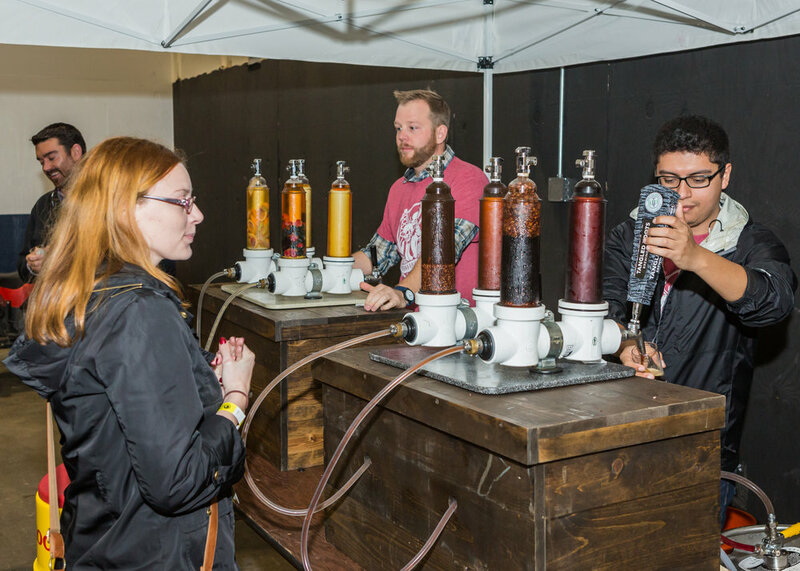 For the eighth time, Chicago craft beer fans will come together to celebrate their love of American beer culture and sample from an enormous selection of beer. Located on the west side of downtown Chicago, Vertiport is a 30,000 sq ft helicopter hangar. That's right my friend, BeerHoptacular will take place inside a helicopter hanger.